You know them: the people young and old, with gasoline in their veins and minds for all things mechanical. Call them automotive enthusiasts, hot-rodders, car nuts, truck fanatics or just gearheads. Whatever the name, they love their cars and trucks, and everything that goes along with them. Summer Tool Sales on the Horizon! 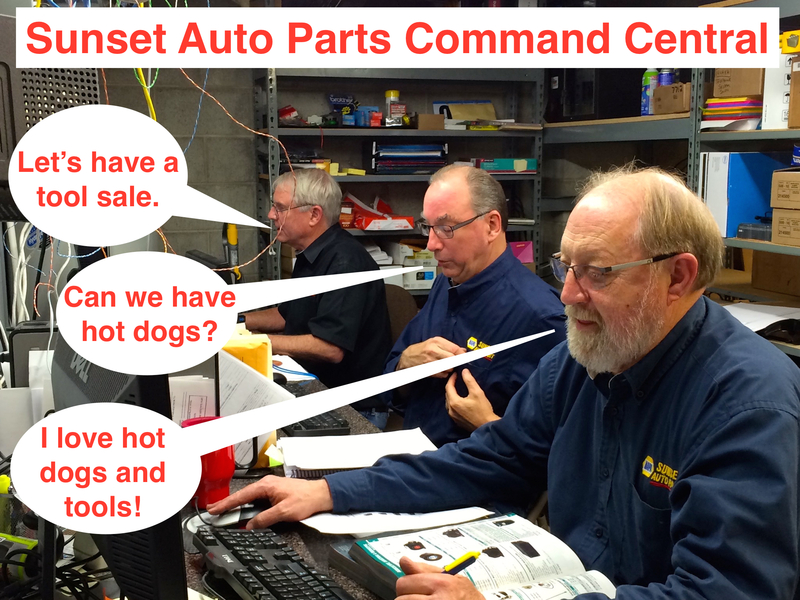 Summer is on our doorstep here in the beautiful Pacific Northwest, and at Sunset Auto Parts we’re gearing up for a number of exciting sales events and promotions! One of our favorite events is the annual Summer Tool Sale, a great opportunity to eat some hot dogs, mingle with our sales team, and get special deals on must-have tools. Is your shop looking for a new parts washer, vehicle lift, air compressor, or other piece of vital equipment? The first wave of sales is coming this June! Contact your local sales representative to discuss special pricing on vital equipment! Don’t see your local Sunset store? Stay tuned, more dates are coming soon! 2013 Sunset Auto NAPA Drag Day! We all had a great time at the 1st annual Sunset Auto Parts NAPA Drag Day! We had 40 racers from Cowlitz, Clatsop, Columbia and Washington Counties and many spectators converge on Woodburn Drag Strip Friday, July 19th. The day started at 8:30am and after several cars were checked-in we started making passes about 9:30. Everybody had several chances to run their times and pick their dial-in before elimination bracket racing started. The field was divided into street-tire class and slicks. After each round of eliminations the losers were encouraged to line up again and we ran grudge races between eliminations to keep everyone entertained. By 2:00pm we were down to the final (King of the Valley) it was Andy Harris in his 69 Dodge GTX 440 from Aloha against Mike Steward in his 51 ford hot rod pickup “shop truck” from Hillsboro. Andy Harris ended up taking the big Trophy. We want to thank Woodburn Dragstrip for being such good hosts and ensuring all racers had a safe and fun experience. Sunset Auto Parts and NAPA Portland appreciate all our customers and thank them for making it possible for us to get away for a day and have some fun. Next year we hope to make this event bigger and better. We already have plans to add 2 new classes Motorcycle and Diesel Trucks. See you at Sunset Auto Parts NAPA Drag Day 2014!